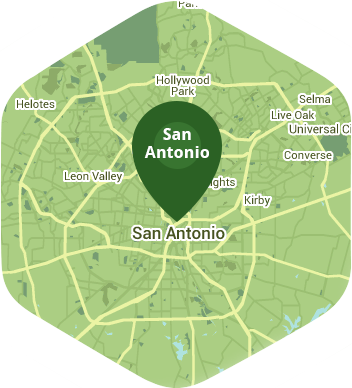 Book a skilled lawn pro in Stone Oak. Backed by a total satisfaction guarantee and amazing customer support. Stone Oak is one of the most prosperous communities in all of Texas, and as a resident your standards are high. And why shouldn't they be? You live in a beautiful part of Texas in an even more beautiful home, and your lawn deserves the best, which is exactly what Lawn Love has to offer. Lawn Love is a full-service lawn care company with years of experience creating and maintaining lush, manicured lawns. Our fully bonded and insured lawn care technicians use their experience and expertise to give your lawn the attention to detail it deserves. We can take care of everything your lawn requires to stay beautiful, from simply mowing and weeding to seeding and aeration, Lawn Love knows the formula for lawn care perfection. To find out more about Lawn Love, simply call us today at 210-802-4223 and take advantage our free two-minute quote and see what a difference Lawn Love can make. Rated 4.76 / 5 stars in 7,296 Stone Oak customer reviews. There won't be any rain in Stone Oak today, which means you'll probably have to water your lawn. Dusk and dawn are the best times to water your lawn (the sun will rise at 7:02 AM and set at 8:03 PM today in Stone Oak). Here are some average lawn care prices for homes in Stone Oak. Average lawn size 4,969 sq. ft.